This is the second book in the Logan Point series. These books can be read as stand-alones because the second book does not have any of the same plot as the first one and this one focuses on Ben Logan’s story and you don’t need to know what happened in the first one to get this one. This book falls into the romantic suspense genre of Christian fiction. Often in the romantic suspense genre books fall into one side of the genre more so than the other. This book falls more to the side of the romance side of the genre. The main focus of the plot is Ben and Leigh’s relationship and whether they will be able to work through their issues while trying to figure out who killed Leigh’s brother and shot Ben’s dad and keeping everyone safe. I liked the book but I was a little disappointed with the ending because there was a character I really didn’t like and had made up my mind that they were involved with the crimes somehow. I felt that the ending left some loose ends that I was not expecting and was not happy with. In Their Darkest Hour, Where Would Hope Be Found? In one life-changing moment, the lives of the exiles in Babylon are thrown into despair when a decree from the king’s palace calls for the annihilation of every Jewish man, woman, and child throughout the empire in less than one year. Ezra, a quiet but brilliant scholar, soon finds himself called upon to become the leader of his people. Forced to rally an army when all his training has been in the Torah, he struggles to bring hope in a time of utter despair, when dreams of the future–of family and love–seem impossible. 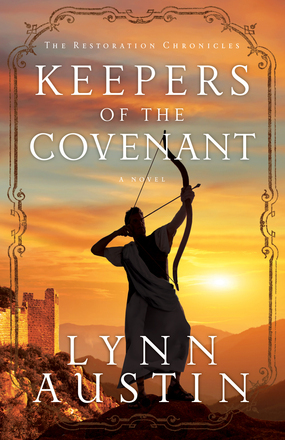 In Keepers of the Covenant, acclaimed novelist Lynn Austin weaves together the struggles and stories of both Jews and Gentiles, creating a tapestry of faith and doubt, love and loss. Here, the Old Testament comes to life, demonstrating the everlasting hope displayed in God’s unwavering love for His people. I received a free copy of this book for an honest review and I had a bit of a love/hate relationship with this book. At times I found myself liking the book but there were also times when I didn’t like the book. I wouldn’t go so far as to say I hated parts of the book but there were parts that I didn’t like. Towards the beginning of the book, I did not want a certain relationship to happen but because of the time period of the book, I realized that it was going to happen, although I didn’t like it at first. As the story went on, I started enjoying their relationship. I also found it harder to get into the book because the timeline shifted suddenly. Take for example the relationship I didn’t want to happen. The couple didn’t marry for love and the story also shifted in time and they were in love. I missed how they fell in love. The story focused on time frame and then jumped to fourteen years later, so I had to switch my mind frame from one character being eight years old to twenty-two all of a sudden. However, with that being said, I felt along with the characters, partly because of going through similar things such as losing a brother and struggling with following God’s laws but showing mercy. This book brought depth to the biblical character of Ezra and the time period of Esther and Ezra. I think people who like biblical fiction will like this book, as long as they’re not looking for too much detail of that time. For three years, Kate Marshall has been mourning the loss of her husband and four-year-old son in a boating accident. But when she spots a familiar-looking child on a mall escalator, she’s convinced it’s her son. With police skeptical of her story, she turns to private investigator Connor Sullivan for help. As the former Secret Service agent digs into the case, the boating “accident” begins to look more and more suspicious. But if Kate’s son is alive, someone is intent on keeping him hidden—and may go to lethal lengths to protect a sinister secret. I already fell in love with most of the characters in the first two books so it was easier to get pulled into the story of Connor and Kate because I already knew Connor, although this book gives his character more depth than the other two books that focused on Cal’s and Dev’s stories. From the start I’ve enjoyed Dev and Nikki’s banter and this book didn’t disappoint me. It kept me laughing whenever Nikki and Dev were involved. Because I already had an investment in Connor’s life from the first two books, I was drawn more to his character than Kate’s but I also enjoyed Kate’s character. It just took me longer to get into her story. I also like that the bad guy was not a straight up bad guy. He came across as a very caring father. 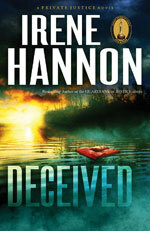 Hannon weaves intriguing stories and characters together in this suspenseful romance. 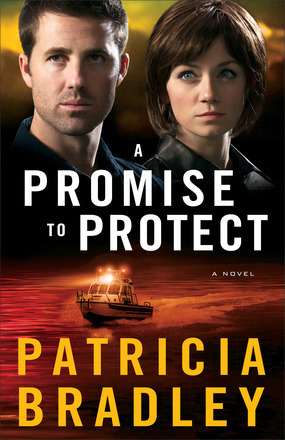 This is a romantic suspense novel, although I didn’t find it as suspenseful for most of the book as I do a lot of others in this genre. It only really became “on the edge of my seat” suspenseful towards the last few chapters. This one focused more on the romance than the suspense whereas there are those in the genre that focus more so on the suspense.